We design and manufacture several types of LED display, each of them meeting the demands of different markets and usage situations, whether they are outdoor or mobile advertising, indoor events, sports events or traffic signs. We always do our best to satisfy all our customer’s requests and wishes. We welcome challenging projects and any possibility to cooperate with our clients and help improve their business. 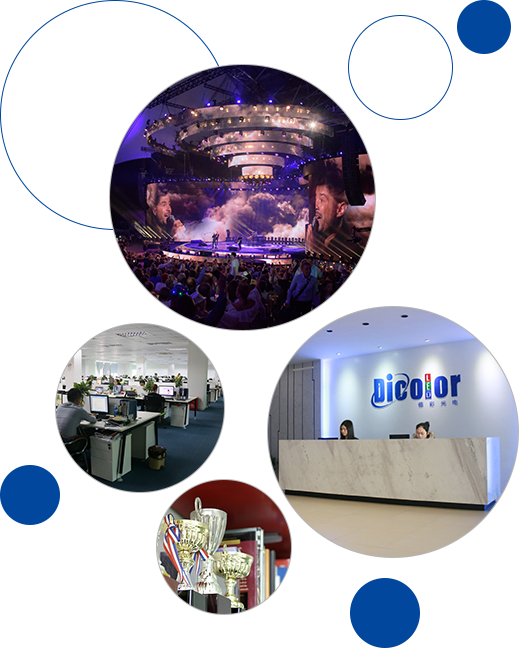 Shenzhen Dicolor Optoelectronics was established in 2006 with a registered capital of RMB 50,000,000 (8.2 million USD). We are equipped with the most advanced automatic machines and well equipped devices for LED display production which can support our monthly production capability of up to 10000 sqm.